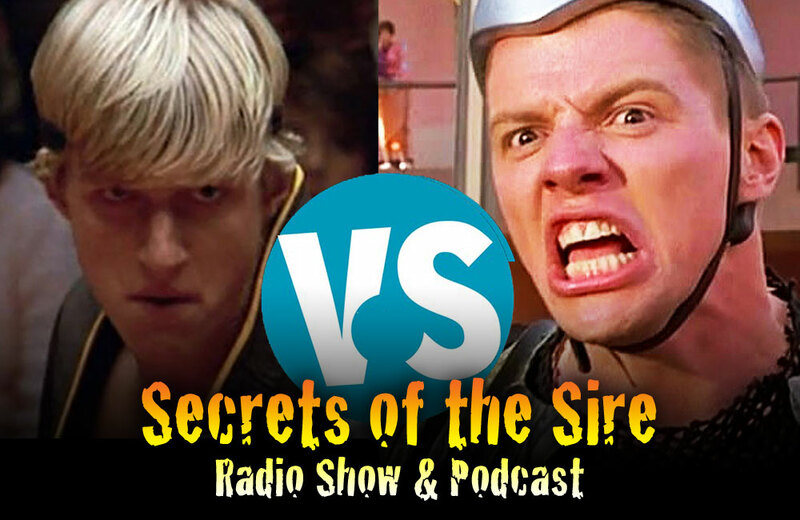 We welcome Back to the Future’s Tom Wilson to the show and debate who was the bigger bully: Biff Tannen or Johnny from Karate Kid! PLUS: Is it panic time for the Star Wars franchise with the dismissal of Colin Treverrow? “What are you looking at, Butthead?”, “Say hi to your mom for me”, and “Why don’t you make like a tree; and get outta here”. In every Back to the Future film, he always ended up in a pile of manure (in reality, a pile of decayed sphagnum and other plant matters) when trying to kill or hurt Michael J. Fox‘s character Marty McFly. He reprised his role as Biff and voiced various Tannen relatives in the animated series. Wilson did not reprise his role as Biff in the initial versions of Telltale‘s Back to the Future: The Game released in 2011, being replaced by Kid Beyond. When the game was ported to the PlayStation 4, Xbox 360 and Xbox One in 2015 in commemoration of the original film’s 30th anniversary, Wilson returned to provide Biff’s voice in these newer versions. If you could schedule your Geek courses what would they be? PLUS: We welcome the voice of Robin and Nightwing and star of the new FOX hit The Orville, Lester Loren.